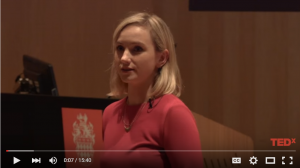 I recently came across this Tedx Royal Holloway Talk by NHS junior doctor Cosima Gretton talking about technology in her day-to-day role. Watch the video because it’s well worth understanding the challenges facing practitioners today, but the point is that a majority of her time goes to administration and not time with patients. She explains how her hospital has 3 online systems, each with their own log-ins, and none of the systems talk to each other, so often info is missed. This seems like a long day, but what’s crazy is that she spends nearly 40 per cent of her time on administrative tasks rather than seeing patients. This is frustrating to her, and, as this Telegraph article points out, frustrating to patients. Nobody disputes the fact that patients would like better access to care, and in today’s on demand society, this is only ever going to increase; however, we have to appreciate that the service as currently designed will never offer this without considerable additional investment. In the absence of this level of funding, we will need to find more creative solutions. In the case of junior doctors, it’s leveraging technology that gives more control to patients. Dr. Gretton discusses ways in which wearable technology can help track patient data better so doctors have more insight into the individual patient. It’s a great idea, but doesn’t solve the dilemma she currently faces – multiple, disparate systems. For GPs, change could look like changing the type of clinician patients are prepared to see for certain kinds of service, and reducing the administrative burden across the board. This would enable us to get more out of our existing clinicians, enable better access to patients and reduce the burden on a cash-strapped health service. Change isn’t always easy. It’s scary, it can be complex, but in the end we can’t continue doing what we know isn’t working. We all need to come together to find solutions that work.